This stunning 290 Sun Sport is built-from-scratch boat made with the craftsmanship and integrity only Sea Ray can provide. Powered by dual 320 hp MX6.2L MPI Bravo® III MCM stern drive, completely replaced new in 2016. Nowhere else will you find a beauty this bold. The Cayman Evasion has Cockpit seating that features a convenient back-to-back lounger and wrap around seating to the stern. All of the upholstery in the cockpit; as well as below deck, is new in 2016. 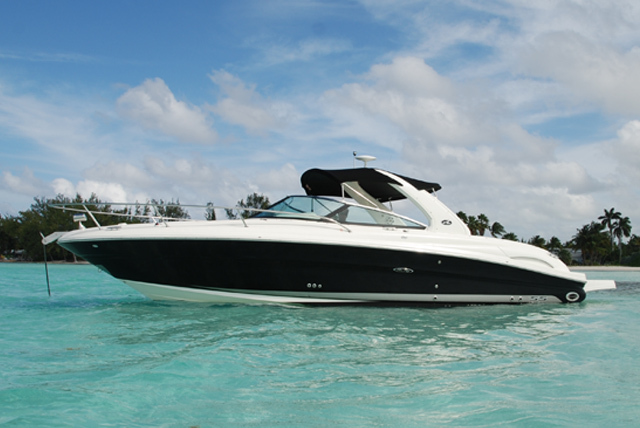 The Cayman Evasion is ideal for fun and comfort for a single family or group of 7!